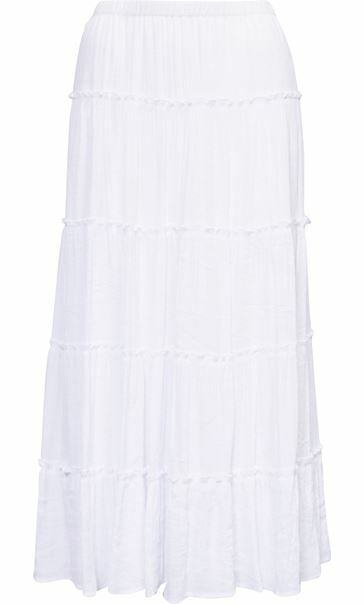 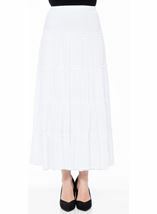 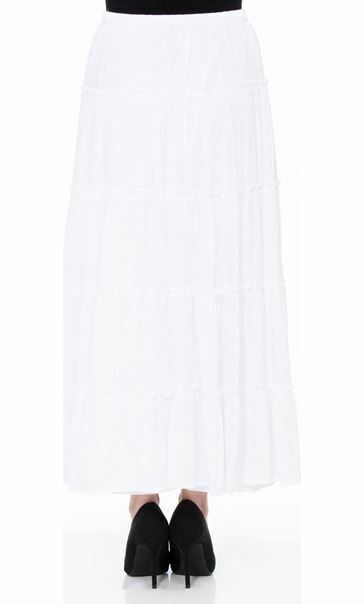 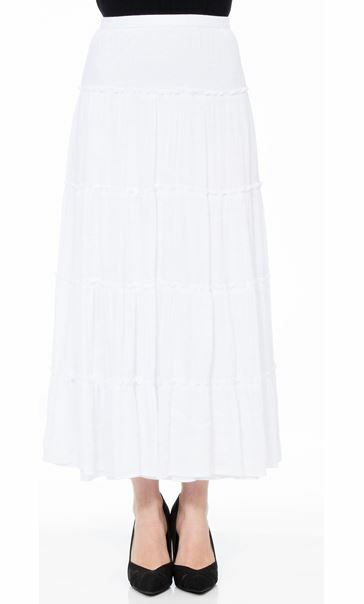  Gorgeous white maxi skirt crafted in a soft, crinkle fabric in a tiered design which makes this skirt perfect for the warmer weather teamed with a cami and flats. 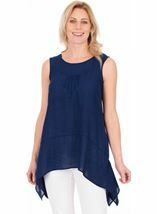 Fully lined with an elasticated waist for a comfortable stylish finish. 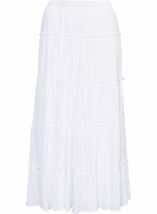 Back length 90cms.